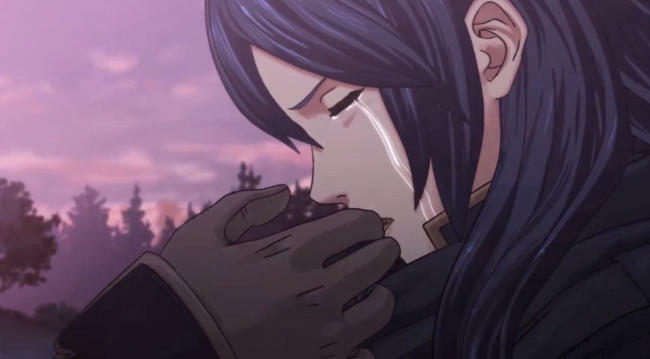 Nintendo is going all out with Fire Emblem: Awakening. For whatever reason, they've finally caught on to the fact that it's a series most of their longtime fans are into, and they've decided to put a little muscle behind it. I don't remember any mainstream commercials for the GBA, GameCube, or Wii games when they finally came out, but better late than never I suppose. The trailer is gorgeous, and it really shows off the distinct art style Fire Emblem has always been known for. If they were to show this commercial daily during Toonami or whatever anime block the kids watch these days, there is no doubt in my mind it would be a hit. Not much gameplay footage is shown, but the cutscenes are enough to breed an entirely new generation of strategy RPG junkies. Fire Emblem has already found a decently sized audience in America, and I'm hoping this is the one that sends it into overdrive. Not only will the series get some long overdue recognition as one of Nintendo's absolute best franchises, but its DLC model will also convince Nintendo that both bonus content and RPGs are the way of the future. The countdown is ticking ever closer to release. Expect to hear everything there is to know about Fire Emblem: Awakening from us up until its exclusive launch on the Nintendo 3DS this February 6th. The game will be available both through retail and the Nintendo 3DS eShop.